What's new in 0.A.D. Alpha 15 "Osiris"? Multiplayer Lobby: The new in-game multiplayer lobby is a place to meet other players and play games together. Meet the entire 0 A.D. community online and face the challenge of a multiplayer game. Auras: Units get a bonus when they are in range of a special building, like a wonder, or another unit, such as a hero. This feature adds a new layer of strategy to the game. So far, in Alpha 15, temples regenerate health for nearby units, and most heroes have auras. This feature is set for expansion and further refinement over the next few alphas. 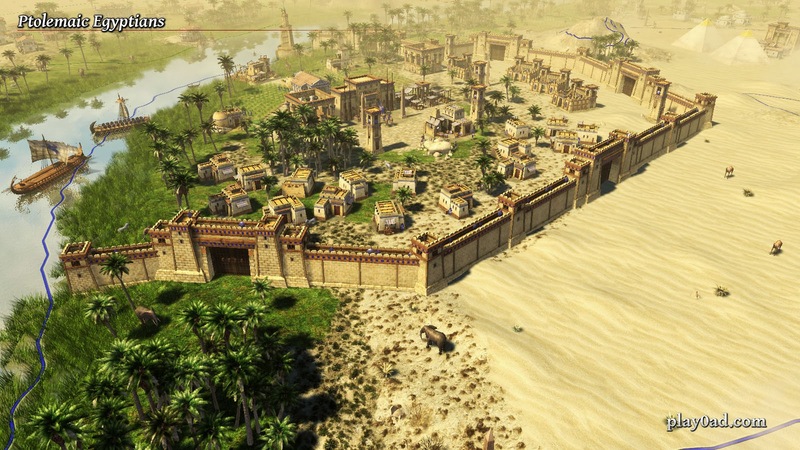 Debut of the Ptolemaic Egyptians: Alpha 15 debuts the Ptolemaic Egyptians as a new playable civilization. Some new buildings, units and unique gameplay features can already be tested, but it’s not finished yet and still contains a lot of placeholders. The Ptolemies will be completed in the next alpha releases. Skirmish Maps: Skirmish maps are a new game mode in 0 A.D. They’re similar to scenarios, but can be easily changed according to your preferences. 0.A.D. is popular enough and stable enough to be included in the default Ubuntu repositories. Click here to install 0.A.D in Ubuntu or simply search for it in Ubuntu Software Center. But, if you want the latest version of 0.A.D. instead, you should try this official PPA by 0.A.D devs. Launch Terminal and copy-paste the following commands. Done. Now, simply search for 0.A.D. in Applications Dash. You can try a more up-to-date but less-well-tested version of 0.A.D. from their development snapshot PPA, which will be updated like every week. Simply replace ppa:wfg/0ad above with ppa:wfg/0ad.dev. 0.A.D. is available in all shapes and sizes for a variety of distros. Check out 0.A.D download page for more options.